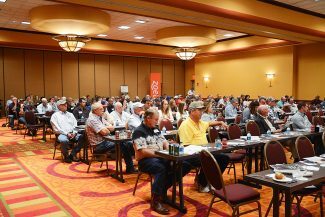 This year, a single forum will address topics for all segments of the cattle industry in Sioux City, Iowa, on Aug. 28-29. A diverse range of speakers have signed on to create an opportunity like no other. In its 13th year, the 2018 Feeding Quality Forum will be reinvented. 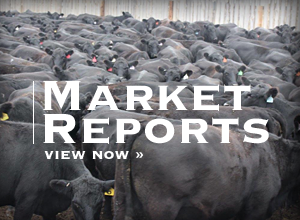 Until this summer, it has focused on cattle feeders with one-day sessions repeated two days apart in Nebraska and the southern High Plains. 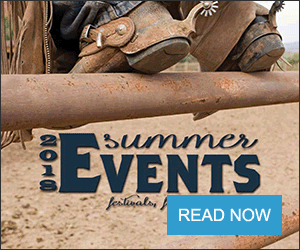 "We're going to have some topics stretch beyond where the ranch is today, and then there'll be very practical topics that the cow-calf producer, the stocker and feedyard operator can take home and use tomorrow," said Justin Sexten, Certified Angus Beef LLC supply development director. Seven allied industry partners are sponsoring the event with CAB. Presentations begin Tuesday afternoon as longtime FQF favorite Dan Basse of AgResource Company provides a global market overview. Then Nebraska and Kansas State University scientists look at vaccine timing and the advantages of a single step-up ration on feed. Next, Air Force Reserves Commander and Diamond V technical services veterinarian Sam Barringer will share new ideas in management that address health challenges affecting the immune system, as a way to capture genetic investments on the ranch. "Dr. Barringer comes with a diverse background of military medical experience in addition to his veterinary training," Sexten said. "He will tell us how and what we feed cattle can influence the immune system response beyond just using antibiotics and vaccines." Sexten noted two other speakers particularly unique to the forum: IBM Food Trust's Nigel Gopie and Tyson Fresh Meats procurement team of John Gerber and Kevin Hueser. "We're going to have Dr. Gopie talk about where IBM is already using blockchain in segments of the food industry, and then look at how that technology might influence the flow of information from the ranch through the end product," Sexten said. "We'll have the packers talking about how they merchandise beef – and direct their procurement team in buying cattle to supply their needs," he said. "Not often do you get to hear directly from a packer, 'This is what we want to buy and why we want to buy it.'" Others will bring in topics like genetic selection, vitamins and minerals, replacement heifer decisions, weaning and grid marketing. Networking with other beef producers focused on quality across the supply chain stands as an added attraction at FQF, Sexten said. Registration by Aug. 14 costs $100, after which they will be accepted as space allows for $125. The fee covers all seminar sessions and the Industry Achievement Awards Banquet. Meeting sponsors include Where Food Comes From, Roto-Mix, Feedlot Magazine, Tyson Foods, Intellibond, Zoetis, Diamond V and CAB. Register online at http://www.CABpartners.com/events/fqf/2018. For more information, visit the website or call Marilyn Conley, (800) 225-2333, ext. 298, or email mconley@certifiedangusbeef.com.